On a May night in 1840, an asthmatic, hard-of-hearing 72-year-old English aristocrat, Lord William Russell, was brutally murdered in his London townhouse. The crime attracted widespread attention across class lines. Among the interested were rising literary star Charles Dickens, journalist and future novelist William Makepeace Thackeray; and the 20-year-old monarch, Queen Victoria. Why were they so riveted, and why, more than 175 years later, was Claire Harman, an accomplished literary biographer, drawn to this true-crime story? The homicide that propels Harman's latest work hit a nerve among Britain's uneasy upper classes, but what interests Harman even more is the alarm it provoked about the potentially damaging influence of violent entertainment – a concern still heatedly debated today. “Murder by the Book” opens with the housemaid's discovery of her master's body. Police find signs of a bungled burglary that raise suspicions of an inside or staged job. Our attention secured, Harman reconstructs the victim's life in broad strokes and revisits his final day. Harman also notes that “London in 1840 was teeming with immigrants, the unemployed, and a burgeoning working class who were more literate and organized than ever before.” Class boundaries were changing, and servant turnover rates were high, a constant vexation for the wealthy. Just five weeks before the murder, Lord William had hired a new Swiss manservant, a 24-year-old former footman, on the recommendation of a friend. Francois Courvoisier's duties encompassed those of valet, butler and handyman. He was not quite up to the task, and Lord William wasn't shy about expressing his displeasure. Courvoisier quickly became the only murder suspect. Like the murderer, Harman goes for the jugular in her account of the investigation, trial and aftermath. Unfortunately – and somewhat frustratingly – she is unable to stanch the flow of unsolved mysteries surrounding the case. She's on firmer ground re-creating the well-documented, obscene spectacle of Courvoisier's hanging – attended by some 40,000 people. The harrowing experience led Dickens and Thackeray to champion the abolition of public executions, which finally passed in 1868. What elevates “Murder by the Book” is its focus on how this case heightened concern over the malevolent influence of violent entertainment. One book in particular was vilified for sparking copycat crimes: William Ainsworth's 1839 novel, “Jack Sheppard,” along with its numerous, enormously popular, unlicensed stage adaptations. Based on the exploits of a notorious early-18th-century thief and jail-breaker, “Jack Sheppard” was an example of the true-life outlaw tales. This “felon lit,” which appealed especially to the rapidly expanding market of a growing, literate working class – including Courvoisier – was said to have “glamorized vice and made heroes of criminals” by playing down misdeeds and highlighting dashing exploits. Harman writes that Dickens' “Oliver Twist,” with its sympathetic portrait of London's pickpockets and thieves and gory murder scene, was lumped in with this group, which moved the author to shift his focus from crime to contemporary social evils in subsequent novels. It's hard not to feel a twinge of nostalgia for a time when literature and drama were thought to wield such power. Concern has shifted largely to gratuitously violent TV shows, movies and video games – and criticism is often tempered by worries about the ramifications of curtailing free speech with moral policing. 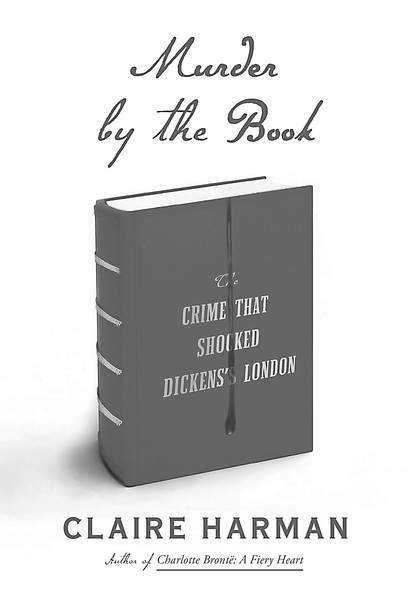 “Murder by the Book” reminds us the debate has been around for a long time. Heller McAlpin reviews books for NPR, the Wall Street Journal and the Washington Post.